Slice persimmons into wedges and divide between 4 bowls. 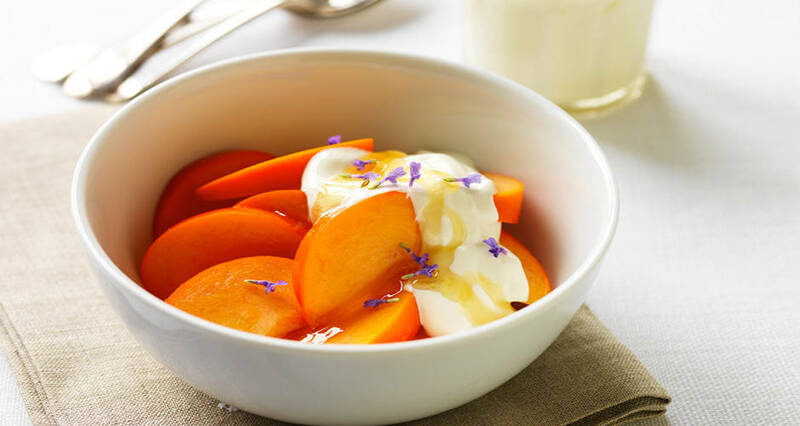 Dollop with Greek yoghurt, drizzle with honey. Scatter with thyme or lavender flowers, serve.